It’s been two weeks since the WCRI Conference recently held in Boston. I’m Michael Stack with Amaxx and today I want to give you some highlights and recap from that recent conference, from the notes that I took and the perspective that I had on it. The second session was about worker outcomes and what impacts, based on studies and research to define the best outcome. What are those factors that we can address? For me, this was the most interesting and impactful session for what I do, which is work with employers, insurance brokers and educating best in class programs. This session is one that I found extraordinarily valuable to get an understanding of, what are those things that impact the outcomes that we can address at the beginning a claim and make sure our success is that much more likely. This is a study I’ve quoted a number of times. It was published by WCRI a few years back and they came out with a study and said, “The biggest single factor based on their research that impacts the outcome of that claim is trust.” The biggest single factor that outcome impacts the outcome of a claim, is the amount of trust between an employee and an employer. Hugely important point. Hugely important factor to understand. Now, we’ve seen that one before. How Does Supervisor Respond to Injury? Mary Chris Jaklevic is a freelance health reporter and regular contributor to HealthNewsReview.org. Human beings are naturally equipped with a system to regulate fluid intake. It’s thirst, and it works pretty well for the vast majority of us. Still, some news organizations are oddly compelled to remind us to drink more water. In the process, they often propagate ideas that aren’t supported by data. Take this recent USA Today story entitled, “Why you should drink water first thing every day.” It quoted two registered dietitians, identified as representatives of the American Academy of Nutrition and Dietetics, who advised starting the day with two glasses of water to aid metabolism and digestion. Similarly, TIME sounded the dehydration alarm last year in a piece entitled “Why Hillary Clinton (And You) Should Be Drinking Water Regularly.” It blamed the candidate’s wobbly condition at a 9/11 ceremony on dehydration, a notion put forth by Clinton’s husband, just before her doctor revealed that Clinton had been diagnosed with pneumonia. We continue our regular series looking for clear and compelling disconnects between what a headline highlights, and what the referenced study is really about. As you will see below, this past month ended up to be a smorgasbord of food and nutrition stories. Not surprising really. Time and time again we’ve found this to be a genre of health stories prone to misinformation. What tends to happen is the limits of observational studies aren’t made clear, “superfoods” are coronated without solid evidence, and conflicts of interest are everywhere. If you could only read one of the huge number of stories we’ve written on this topic try this one by Alan Cassels. It makes the point very clearly. Since our last look at headlines versus studies in February we’ve published 18 news story reviews and 15 news release reviews. Here’s what we found. 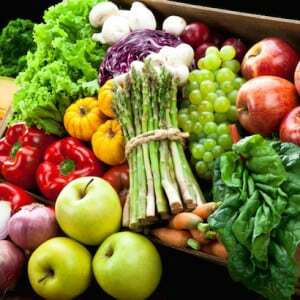 Headline: Eating more — or less — of ten foods may cut risk of early death. Study: The study found an association between intake of 10 types of food and mortality from heart disease, type 2 diabetes, and stroke. “May cut risk of death” is a cause-and-effect leap that this study simply can’t support. The results confirmed previous studies showing that too much salt, processed meats, and sugar … as well as too little whole grains, fruits and vegetables … are all associated with mortality from these diseases. Our review: This is predominantly an observational study. The NPR piece employed click bait language like saying certain foods “can help raise or lower the risk of death.” This is grossly misleading because it implies these foods directly impact mortality. It should have been made clear this is just a statistical association. Slower adopters include surgery, although that is changing with some robotics and oversight/proctoring from specialists from a distance. David Higginbotham contracted hepatitis C more than 35 years ago. He’d like to rid his body of the virus, but Colorado’s Medicaid program says he’s not sick enough to justify the cost. Since 2013, when Gilead Sciences Inc. released Sovaldi, the first medication that can reliably cure hepatitis C, health insurers and state Medicaid programs have been coming up with ways to limit access to it and a sister drug, Harvoni, because they’re priced so high — more than $80,000 for a 12-week course of Sovaldi at the outset. Both drugs are produced by Gilead, and their price has dropped some, as competitors have hit the market, but Higginbotham still hasn’t been able to get the cure. Gilead isn’t the only company that produces expensive drugs. Prices for prescription medications for various conditions have been rising faster than inflation for years. President Donald Trump says the pharmaceutical industry is “getting away with murder,” and he’s vowed to do something about it. One solution that’s been proposed is to buy the company. 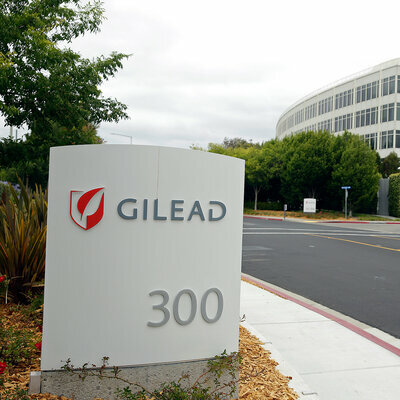 Specifically buy Gilead Sciences Inc.
Dr. Peter Bach, the director of health policy and outcomes at Memorial Sloan Kettering Cancer Center in New York, says the U.S. government could save money and treat everyone in the nation who has hepatitis C if it bought Gilead Sciences, rather than just buying Gilead’s products. A year after Gilead got FDA approval for Sovaldi, it launched Harvoni, — a combination medicine that includes Sovaldi’s key ingredient and a second medication that attacks the hepatitis C virus in a different way. Sovaldi and Harvoni are the first drugs to consistently eradicate the virus, which has infected an estimated 2.7 to 3.3 million people in the U.S.
Spring fashion season is here! What better day to discuss this topic than “Shoe the World Day?” There are multiple factors to consider when selecting the most appropriate foot protection. The goal is to make sure that your feet are comfortable, supported, and protected. In a recent post, we demonstrated that a pair of safety shoes is an effective piece of personal protective equipment. However, the hazards are not only falling objects or fork trucks rolling over toes, but discomfort due to improper fit and selection. Choosing the appropriate safety shoe could prevent foot related problems like bunions, corns, calluses, hammertoes, and even prevent discomfort to the legs, hips, and back. Consider these tips when selecting your next pair. Safety should be the initial consideration when selecting the correct pair of protective footwear. There are many options in the market but you should choose a pair that will protect your feet from the hazards present. A combination of safety toe caps, metatarsal guards (protection for the top of the foot), steel plate soles (puncture resistant), sole material (slip resistance, electrical insulation, flexibility, and hardness), and overall construction materials used should be considered. Fit is very important! Did you know that the human foot actually grows during the day and shrinks while you sleep? While that’s not entirely true, everyone’s feet are slightly larger after a hard day’s work. This means the end of the day is the best time to try on a new pair of shoes or boots. Making sure your new shoes fit well is key to preventing future discomfort. About one-third of adult men are wearing shoes that don’t fit properly, so take the time to ensure you are selecting the proper size. Comfort is a must! The majority of quality safety shoes and boots will not stretch or need a break in period. Make sure that when you’re test driving potential footwear, your feet are immediately comfortable. Areas of comfort include appropriate space in the toe box, no pinching or cramping at the ball of the foot or toe area, and adequate support in the arch and heel. Make sure the padding and materials used are adequate for your work climate. Utilizing a shoe with moisture control technology for both warm and cold climates is a great option, but can affect how your shoe fits. When feet are comfortable, your knees, hips, and lower back are better aligned and supported. A near miss may be the best thing that ever happens at your company. Depending on what you do afterward, it can be a huge opportunity to save money and headaches. After the initial ‘phew!’ reaction, it’s time to get down to business and find out what happened and why and, most importantly, what you can do to prevent a recurrence that could result in an injury and comp claim the next time. Fact is, most (probably all) workplace accidents have multiple causes. Even the seemingly simple-to-explain incident likely has several underlying factors going on. By getting to the real root of the problem you can avoid potentially costly and preventable claims. Delving into the true causes of workplace injuries requires a team effort, though it doesn’t need to be all that complicated. There are a variety of frameworks for ‘root cause analyses.’ There are templates to make it easier to organize the information. Some organizations use a fishbone diagram to group causes into major categories to identify variation sources. Whatever system is used, there are several keys to successful root cause analysis. This is the most important aspect in getting to the real root of a problem. It’s tempting to blame someone, punish him, and move on, but that doesn’t fix the underlying problems. Root cause analysis must be done without any finger pointing. Remember, most workplace accidents are the result of a confluence of contributing factors. The job of RCA is to identify and correct them. EDITORS NOTE: Fortunately for our patients, we have one the finest Physical Therapists in the Santa Maria Valley, Ed Donahue! Sacramento, CA – Physical therapy is as effective as surgery in treating carpal tunnel syndrome, according to a new study published in the Journal of Orthopaedic & Sports Physical Therapy® (JOSPT®). Researchers in Spain and the United States report that one year following treatment, patients with carpal tunnel syndrome who received physical therapy achieved results comparable to outcomes for patients who had surgery for this condition. Further, physical therapy patients saw faster improvements at the one-month mark than did patients treated surgically. Carpal tunnel syndrome causes pain, numbness, and weakness in the wrist and hand. Nearly half of all work-related injuries are linked to this syndrome, which can result from repetitive movements. Although surgery may be considered when the symptoms are severe, more than a third of patients do not return to work within eight weeks after an operation for carpal tunnel syndrome. The study demonstrates that physical therapy – and particularly a combination of manual therapy of the neck and median nerve and stretching exercises – may be preferable to surgery, certainly as a starting point for treatment. “Conservative treatment may be an intervention option for patients with carpal tunnel syndrome as a first line of management prior to or instead of surgery,” says lead author César Fernández de las Peñas, PT, PhD, DMSc, with the Department of Physical Therapy, Occupational Therapy, Rehabilitation, and Physical Medicine at Universidad Rey Juan Carlos, Alcorcón, Spain. Florida’s Department of Financial Services’ Division of Investigative and Forensic Services (DIFS) recently announced the arrest of Sheyla Veronica White following her attempt to fraudulently collect workers compensation payments following an alleged on-the-job injury. White claimed that a sprinkler head fell from the ceiling, bounced off her desk, and struck her in the head. Her employer, Cinque Terre Energy Partners, LLC promptly filed a compensation claim related to the alleged injury. Video surveillance footage later proved a different series of events surrounding the alleged injury. White was arrested and transported to the Broward County Jail. She faces two counts of workers comp fraud, and faces up to five years in prison if convicted.